In addition to weekly lessons, you will benefit from regular guitar concerts and events where you can perform compositions studied during your lessons. Performing is optional, and you are welcome to just attend the event and get inspired by fellow students performing! 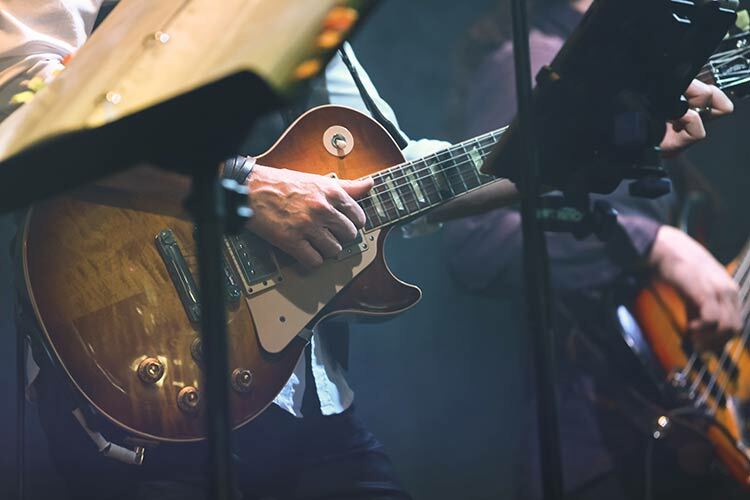 Performing live in front of your colleagues is one of the best methods to develop your guitar playing. It also serves as a milestone for your guitar learning. Live performance will teach you things about playing the guitar that you simply cannot learn in a lesson. When you perform live in front of an audience, your strengths and weaknesses are exposed more than ever before. That is exactly why it is so important to participate in performing! Your guitar level and skill will increase tremendously. Performing at the London Guitar Institute is always a real exhilarating experience. The atmosphere is electrifying and there is a non-judgmental approach. We always do our best to make it as easy as possible for you, especially when it is your first performance. Performing is non compulsory, but it is highly recommended for your guitar development.